This mid-size SUV is big on value for money, offering an impressive amount of space for not much money. Head off road and the Rexton's diesel engine will get to work, ensuring you'll have little trouble when the going gets tough. The best way to discover whether this is the right SUV for your budget and lifestyle is to get behind the wheel. 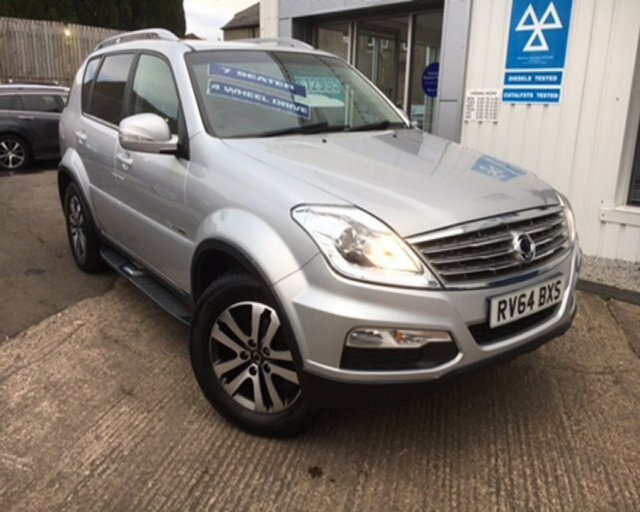 You can arrange to test drive one of the used Ssangyong Rexton models for sale in Dumfries listed here on the website by contacting a member of the showroom team today. We'll always ensure you receive a warm welcome and will have friendly, impartial advice ready to help you make the right choice when it comes to buying your next vehicle.